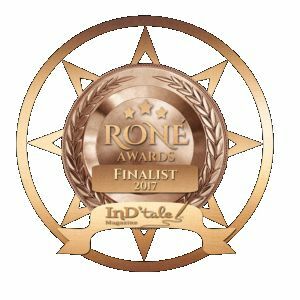 I am delighted to announce that Escapee (Repelling the Invasion #2) is a finalist in the science fiction category for the 2017 RONE Award. The RONE (Reward of Novel Excellence) is an annual award contest run by InD’Tale Magazine. Throughout the year the InD’tale reviewers read and rate independent books. All books that receive a 5-Star review automatically final in their category. In addition, books that receive a 4-Star or 4.5-Star review are nominees which go through a round of reader voting. My science fiction romance, Escapee, received a 5-star review and so automatically finaled in the Fantasy/Sci-Fi category this year. All finalists are read by a panel of industry judges (editors, agents, librarians, etc.). Their scores determine the RONE Award Winners. Winners will be announced during InD’Scribe Con in October. Huge congratulations to finalists in the various categories. A huge thanks to InD’Tale Magazine! Catt Sayer just wants to survive. The working-class fugitive delivers military supplies on a decrepit airship, but her hard-won livelihood vanishes when invaders overrun her harsh moon. Even worse, an idealistic, upper-class officer wants her to risk her life on a hopeless trek to attack enemy headquarters — manned by 10,000 soldiers! Edward Hoornaert’s romantic space opera, Escapee, is a standalone book that continues the saga of the Dukelsky family (begun in The Guardian Angel of Farflung Station). If you like The African Queen and the thrill of underdogs finding love while battling a hostile environment, you’ll love Escapee. Don’t let this rousing tale escape you. Capture Escapee today. Yippee and Hoorah for my pal. An award is so terrific and so are you. I haven’t got my itchy fingers on the award yet, but thanks! Congrats, Ed – good luck!